Beckman Coulter is a leading designer and manufacturer of instruments, software and supplies for clinical diagnostics as well as medical research and discovery. Based in Fullerton California, the company is active in 130 countries worldwide. The company was founded in 1935 by Dr. Arnold Becker, who developed the first device for measuring pH. In the 1970’s, Beckman Coulter grew rapidly through acquisitions of biological analysis solutions for clinical labs and expanded into Europe and China. Additional acquisitions in the 1990’s and 2000’s added immunoassays; hematology, flow cytometry and hemostasis products; and ultrahigh throughput clinical chemistry systems to the company’s portfolio. 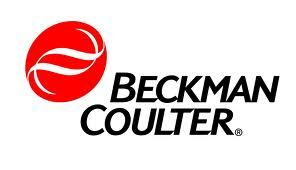 Today, Beckman Coulter medical equipment includes a wide range of diagnostic tests, instruments and information systems for private laboratories as well as labs in hospitals and physician offices. For blood banks, Beckman Coulter automated blood donor test systems provide ABO/Rh interpretation, phenotype testing for Rh and Kell antigens, and testing for cytomegalovirus and syphilis. The company’s centrifuge systems are available in medium and large capacity models, as well as air-powered ultracentrifuge models which rapidly clean lipemic samples. Beckman Coulter produces a wide range of random access chemistry analyzers. The AU line of chemistry systems includes analyzers for small, medium and extremely high volume commercial labs and hospital test environments. UniCel DxC Clinical Systems combine simple operation and capacity with excellent performance. UniCel I class hybrid analyzers integrate chemistry and immunoassay testing, using closed-tube aliquotting and closed-tube sampling to enhance laboratory throughput while ensuring safety. Beckman Coulter hematology instruments include the UniCel DxH platform, the high-volume Coulter workcell and compact Ac-T analyzers. The company’s automated ACL hemostasis systems are easy to use, reliable systems that handle a wide range of routine and special assays for hemostatic disorders. Beckman Coulter immunoassay analyzers are available in models ranging from small tabletop units to very high volume integrated systems which enable simultaneous chemistry and immunoassay testing from one sample, with a single point of entry. All immunoassay systems offer a menu of 150 tests, including cardiac and tumor markers as well as renal and reproductive function. Beckman Coulter information systems improve productivity and quality while reducing turnaround time and medical errors. They allow lab personnel to standardize operations, monitor multiple instruments from a single workstation, and ensure fast delivery of high quality, reliable diagnostic results. WOW! The company is doing its job very well for it lasts for a number of years. Congratulations! I heard many things about the Beckman Coulter medical equipments. Most of the healthcare and clinics consider these equipments. If possible kindly update some of the latest manufactured devices from Beckman Coulter.